What used to a small, favourite local eatery is now an upmarket diner, but thankfully it hasn’t lost its charm. We’re talking about Peep Kitchen in Taleigaon, Panjim. It may not be on the tourist map but a visit here will have you falling in love with the food and the bartender, Devi. As one of the few places in Goa that makes innovative cocktails (courtesy Devi, who just won an award in a National Bartending competition), then why haven’t you even been here yet? 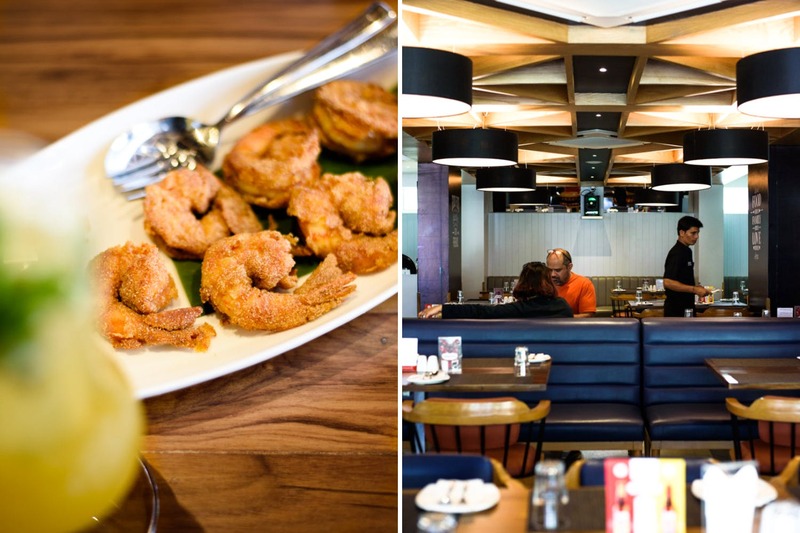 Add seafood and other traditional Goan fare to their list of ‘awesome things to check out here’, and you know you have a winner. And if you don’t like the Goan humidity and heat, then you will be happy to know that this one is fully air-conditioned. Tucked away in one of the by-lanes of Taleigaon, this restaurant has a great ambience and food, and still wont have you paying crazy amounts. So we promptly asked for a Feni Sling (Devi’s twist on drinking Feni) & Peep Fizz cocktails, that were refreshing and great to start our Sunday lunch off. And because we are greedy, we called for the Butter Garlic Crabs (INR 800), which were totally value for money. Next came the Rawa Fry Prawns, followed by the Kaap (Goan-style fritters made out of potatoes, brinjals, etc). You certainly don’t find the latter easily these days. If you are going for lunch, then their Fish Thali that is definitely recommended. Finish off the meal with their tasty Serradura (traditional Portuguese dessert), or the Panacotta. If you are a mixed bunch wanting to eat different things, then Peep Kitchen can cater to all needs (they also have a North Indian and oriental menu). But it is definitely the Goan food that we go for here, and the unmissable drinks. And if you are living or booked to stay in and around Panjim, they also deliver. They deliver to areas such as Dona Paula, Caranzalem, Panjim & Taleigaon.